We are a small charitable trust dedicated to transforming the lives of poor disabled children in Mexico. Mexico has minimal state funding for therapy or equipment for disabled children, and no national health service. Families with a disabled child usually have to struggle and fend for themselves, often with terrible consequences for the child. 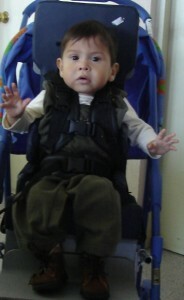 MeDiCT works with centres in Mexico for disabled children (primarily Nuevo Amanecer in Monterrey). 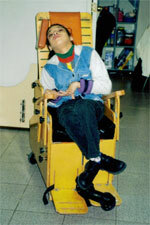 We provide second hand wheelchairs and equipment from the UK. We also sponsor staff from the UK and elsewhere to train Mexican therapists and other professionals to work with disabled children with cerebral palsy and other disabilities. This equipment and training means that thousands of children’s lives are transformed from suffering painful deformities which make learning, communication and even breathing and eating painful and difficult, to happier childhoods, much greater independence and the ability to reach their full potential. Please have a browse through our site to find out exactly what we do and how you can help support us.